A one-of-a-kind design solution for your one-of-a-kind-space. We deliver beautiful living spaces designed for every lifestyle and every wallet. At Grassroots, we know renovating isn't always fun, but we are! So whether this is your first time working with a designer or you're a seasoned vet, we strive to make you comfortable from start to finish. 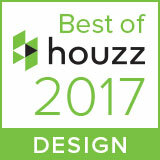 We are an award winning Ottawa based design and build company. Whether you want to update or overhaul the look of your home, our talented team of designers, carpenters, painters and contractors work hard to turn your dream home into a reality. by the September Media Company.